United Way of the Dutchess-Orange Region takes on five eager interns for the summer of 2018. Interns play an integral role at United Way of the Dutchess-Orange Region,” remarked Jazmin Awada, Community Impact Coordinator. “Each semester we are lucky to host smart, talented young individuals that bring fresh ideas and perspectives to our organization. It’s the dedication and the hard work of our interns that help us to drive our mission throughout the year." Employers have found that internships have grown increasingly important and students are hungry for experience before embarking on their job hunt. The National Association of Colleges and Employers released results of a survey that stated 91% of employers prefer a job candidate with work experience. Internships help provide students with valuable experience and make the transition into the job market and workforce much easier. The five summer of 2018 interns at United Way show promise and talent as they work closely with their respective supervisors and learn about the work of a nonprofit organization. Sarah Donnatien is the newest Community Impact Intern. She is a recent graduate from SUNY New Paltz with a bachelor’s degree in sociology. She hopes to learn the ins and outs of how nonprofit organizations run and wants to bring a positive impact to the community. Some of her recent tasks at United Way have included sorting through and documenting in-kind donations of goods that will be given to those in need. In her free time, Sarah enjoys crochet and photography. Leah Mozeshtam is the Campaign Assistant Intern this summer. She currently studies applied economics at Cornell University. She is excited to learn about nonprofit organizations and how they impact the community. So far, she has been helping United Way identify prospective donors. Like Sarah, she has also helped sort and inventory the in-kind donations. Leah is passionate about her hobbies which include reading and theater. Arianna Smith is the latest Events Intern at United Way. She is pursuing a degree in public relations with a minor in event planning at St. John’s University. She completed an internship with Event Kings on Long Island where she learned about personal and corporate events. She is looking to gain new skills with United Way this summer. She hopes to sharpen her event management skills, especially in the nonprofit sector. At United Way, she reaches out to local companies. In her free time, Arianna enjoys watching new movies and attending Zumba classes. Alyssa Bisesto is a Marketing and Social Media Intern. She is currently studying marketing, with a concentration in marketing communications and digital marketing at Siena College. She recently completed an internship with Brawn Media in Albany, where she learned more about promotion and advertising. She is excited about her internship with United Way, where she hopes to pick up more skills that can be used in her future career. Her typical day at the office includes creating marketing promotions and learning more about how to successfully target a segment of the market. Alyssa is the captain of her school’s dance team and considers dance to be one of her favorite hobbies. 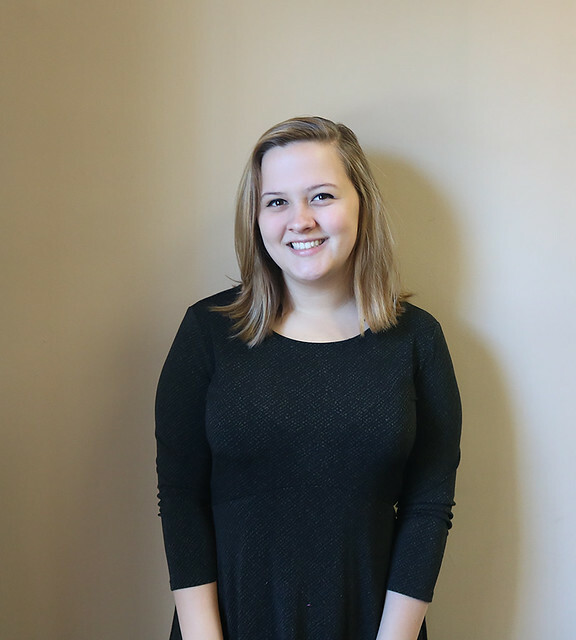 Alyssa Chelak also is a Marketing and Social Media Intern. She currently studies at St. Thomas Aquinas College where she is pursuing a degree in marketing with a minor in Spanish. She hopes to learn useable marketing techniques and learn more about how to make a nonprofit organization reach its full potential. Her work at United Way includes writing press releases, photographing events and creating promotional tools. When Alyssa is not working, she can be found playing and watching sports. Each of these interns brings something new and exciting to the table. They possess various strengths that they will use in their time with United Way. With the help of their supervisors and immersion in United Way events, these interns will learn skills that will help them pursue a meaningful career. To find out more about available internships at United Way, go to www.uwdor.org/careers#internships or call Jazmin Awada at 845-471-1900 ext 3106.